In last week’s Coffee with CART, Schuyler and Sterling reflected on NRF (National Retail Federation) 2016. 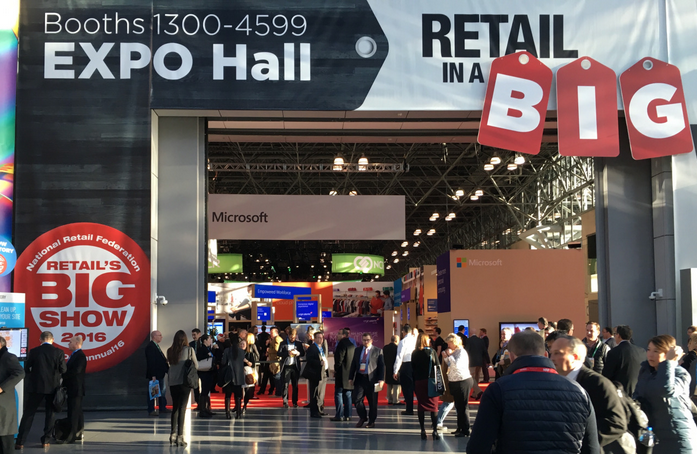 Among the companies represented at NRF was Amazon. Amazon is not a brick-and-mortar company, however, retailers can no longer think of only brick-and-mortar stores within their zip code as their competitors. 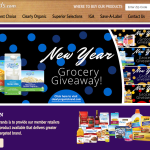 Their competition now includes everyone, due to the rapidly growing world of online shopping. Online shopping is the most trending retail business today. According to Retail Dive, what is driving the transformation most is the Internet and mobile technology, the rise in millennial spending power, the empowerment of the consumer and the impact of globalization. Many brick-and-mortar retailers are feeling challenged by pressures of sales growth, but hope is in sight. Brick-and-mortar businesses have at least one advantage, and that is their stores, themselves. Shoppers are surrounded by atmosphere and friendly face-to-face customer service that the Amazons of the world cannot provide. Another topic was on how Snapchat continues to grow. Businesses are now using it. The video component in social media platforms such as Snapchat and Facebook make it easy to communicate. Millennials are spending more time than ever watching short videos on their mobile devices. Phones are faster now and have more bandwidth, which makes it easier to watch video on the go. The user can shoot video, edit and deliver within moments. It is a great story-telling tool and stores are now using it for that purpose. Video is not replacing text, however, but it is a part of the communication. Video still has its drawbacks. The audio can sometimes be a disadvantage if you can’t hear within a loud environment or if you are in a quiet environment, you have to show consideration for others around you. But it’s worth trying to see what kind of interaction you get from customers. Why do I work at AWG? I appreciate having the opportunity to use my creative and web development skills to assist our retailers in marketing their stores. AWG is a reputable company and the marketing department consists of a great team, working together in a fun environment. Plus I love to eat! I especially like trying new products. Copyrights 2019 AWG Sales Services. All Rights Reserved.